William Hogeland delivered a public talk on his book, Autumn of the Black Snake. The book describes the military and political conflicts that resulted from Native resistance to American settlement of the Old Northwest frontier, culminating in Anthony Wayne's victory at the Battle of Fallen Timbers. 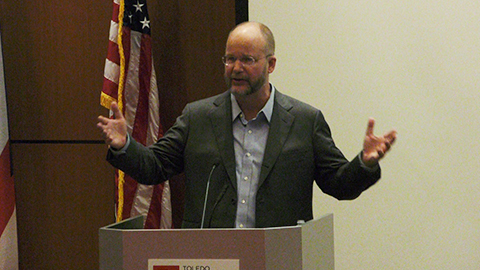 The lecture was held at The Lucas County Public Library.